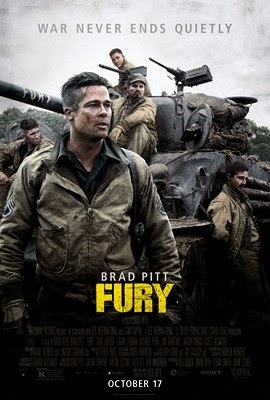 Fury is a story about American soldiers during World War I which I think is amazingly and perfectly done. Morbid at the onset because--let’s face it: it’s a war. But I commend everyone involved in the creation and completion of the movie. It truly movie deserves awards and should be seen by the whole word. The movie made me gawk, laugh, cry, love and even fear for my own life. I can truly say this whole production is effective. It put me inside the movie as if I was a character in the war. The acting is exquisite! All actors are perfect for their roles! None of them—not even Brad Pit—overpowered any of the stars. In fact, I think he uplifted them with his own acting. He magnified their talent by being a great main actor. My view of him has changed since I saw the credits. I’ve never seen Shia LaBeouf this good in character! I've always seen his movies and this really is the best work he has done yet! His acting is so effective that it felt like he was the glue that held their team together. Young Logan Lerman isn't bad here at all. He plays a teenager who was forced to fight at war. I was bawling like a kid during that dramatic scene where he was forced to kill a German because if he didn't, he’ll be the cause of their team’s demise. I felt the pain and the difficulty of the situation. He was figuratively stuck between a rock and a hard place. The upsurge of the plot of the movie doesn't seem to stop! The story really is a good one, combined with a good script that almost didn't need to talk. The actors were insanely effective at their job that their eyes screamed the words, emanating past through the silkscreen. As a viewer, you really wouldn't have time to think of what is going to happen next. You’ll be able to guess a few steps, perhaps, but there are events that surprise you in every turn. 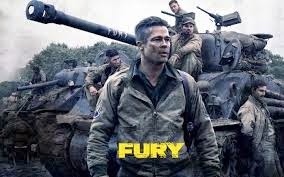 It is amazingly action and emotion packed and for a war movie, that's quite difficult to reflect on the screen. Direction was superb! Editing was flawless! Cinematography was—oh the cinematography! It was impeccably immaculate. I find cinematography effective when I see everything I need to see, not just what I want to see. Shooting inside a tank was surely a challenge but they didn't seem to have any difficulties with that! The sound effects are also amazing. I don’t remember getting distracted from a music bed but all movies have that. So if I didn't notice music coming in to a very intense scene, then that insertion is seamless. Out of five, I rate this moving, life-changing film a full five stars! I recommend it to all my family and friends. I think it’s a Christian movie perfectly disguised and that is what the world needs right now. The world needs perfectly made films that don’t advertise as Christian films but delivers a perception shifting performance that could possibly fish for more people. Jehan Joy Tandinga-Gesta, 28, Supermom by day, Virtual Assistant by night. Fascinated by sewing, cooking, cycling, long warm baths. Lives and breathes to honor and glorify God.